Montreal, Quebec quartet Winter Gloves was to be in Seattle tonight for a show at Chop Suey with Born Ruffians and Meligrove Band. They had to cancel this leg of their tour, but I talked to singer/songwriter Charles F. about his background, Canadian music, and what the inspiration for All Red was. The album, their follow-up to 2008’s Let Me Drive, just came out in September and it has its own share of really great, dance-worthy tunes. You started out in music playing jazz drums? Charles F.: I started playing drums when I was about seven so I was playing more Dave Grohl kind of drumming. Later, when I was eighteen or nineteen I was into jazz music and started playing in several bands in Quebec City. All drumming seems difficult, but I would imagine jazz drumming is especially difficult. C.F. : It’s just a different approach. Now in Winter Gloves I’m working with Patrick Sayers on the drums and he’s more like a classic rock trained drummer, so we have different ways of seeing the drumming. Drumming can be complicated, but I’m not a really good rock drummer. Did your change from drumming to singing feel natural? C.F. : I guess it was just a songwriting purpose. I wasn’t really trained to compose jazz music and I wanted to write songs, playing around with keyboards and guitars. It just happened naturally. Did you compose on a Wurlitzer? C.F. : Yes, that’s the first keyboard I bought. It’s basically like a real piano with hammers. It’s like a guitar too because there’s a pickup in the instrument so you can plug it into an amp. You decided your project would not be a solo one. How did you find your bandmates? C.F. : I’ve been a fan of bands for a long time. I wanted to have a clear direction so I wanted to write first and find people after. 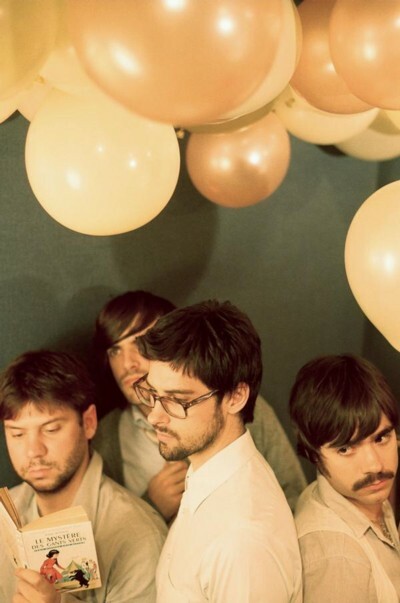 I met [up with] Vincent [Chalifour, keyboards] early in the process because we went to high school together, Patrick came along, and we just got our new guitar player, Nico [Ormiston]. What differences do you see in the LPs? C.F. : The first difference is the way we recorded. The first one was more [us] trying to get surrounded by many people, a producer and talking about the songs, how we were going to record. The second album was more of a team project. I produced the record and I worked only with the band members. The keyboard player was the engineer on it and we had our own studio space. It was more like a bubble. What’s Montreal like – as compared to Quebec City? C.F. : My hometown is more francophone, where there are a lot of people working for the government. It’s not the greatest city to be a musician. Montreal’s very different. There are artists from all over the world. You probably know of ten or twelve bands from Montreal. Do you think Canadian bands get lumped together? C.F. : People are talking about a Montreal sound, but I think it’s more like an attitude. People here are laid back. It’s a great city. Winter Gloves – photo by Liebe E.P. I read about how many of the songs of All Red were written with your brother in mind. He’s fifteen years younger than you? C.F. : Exactly. All Red is like coming back to high school stories and trying to grow up. It just happened that way. When I was going back to my hometown and seeing my brother I could totally see in him all those memories again. All the awkwardness of being a kid and going to prom, having a girlfriend for the first time . . . I love the song “Trap the Mouse”. What’s the story on that one? C.F. : It’s the weirdest song to me. There’s not a lot of meaning in the song. I had mice at my place. One of the mice was brilliant at not getting caught by eating the cheese and the peanut butter. I just got crazy chasing animals in my apartment. I was writing this song at the same time and when you do something in the day you dream about that stuff at night and it just ran together. Some of those mice are very smart. C.F. : Yes. They’re not ugly, they’re cute. They are. It makes it hard to trap them. C.F. : It doesn’t feel great to kill mice everyday. The problem is fixed. I’m just happy to have this song coming out of it. Did you take the photo for All Red‘s cover? C.F. : My girlfriend is working a lot with photos, and we wanted to do the cover together. That’s my girlfriend in the picture. It’s a photo I took of her when we were hunting for a great place [to take photos]. It’s a cool photo. It was taken with a Lomo camera? C.F. : Exactly – that’s why the image is so fuzzy. It’s a Lomo that takes four pictures at the same time. The one on the cover is just one of four pictures, and we had to make it bigger and bigger. In the record you can see the whole wall. It’s a big blue wall in Montreal where they’re going to build a hospital soon. Now it’s just a place where people sell drugs. You lived in England for a year? C.F. : When I was in Quebec playing jazz music I knew that I wanted to write songs, but I didn’t know how to start that as a drummer. Should I use guitar or keyboards? I was really into Radiohead and other bands from England so I decided to move there for a year to see what was happening. I also read you are sort of considered as the “mother” of the band? C.F. : I think it’s because of the guitar players [I’ve worked with]. They’re these cool guys, doing well with the ladies. Guitar players’ heads are always somewhere else. Why call the album All Red? C.F. : One of the songs on the record is called “Gym Class,” and it was called “All Red” – because of the blushing when you’re young. All Red is just the way you feel and what you look like. Written by: Dagmar on 10/25/2010. 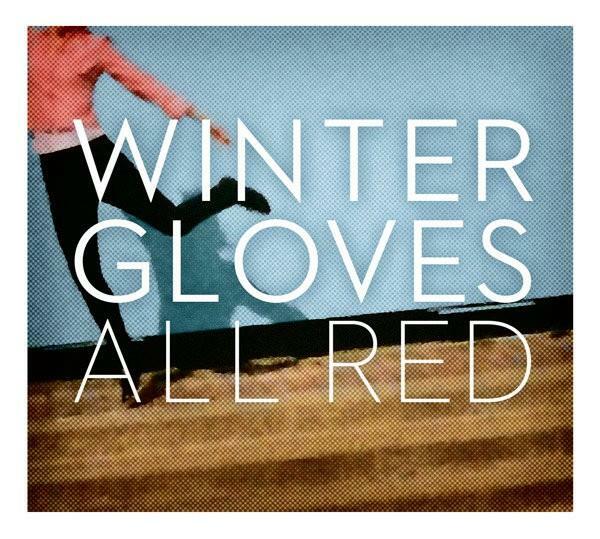 This entry was tagged all red, charles f, posted by dagmar, winter gloves. Bookmark the permalink.